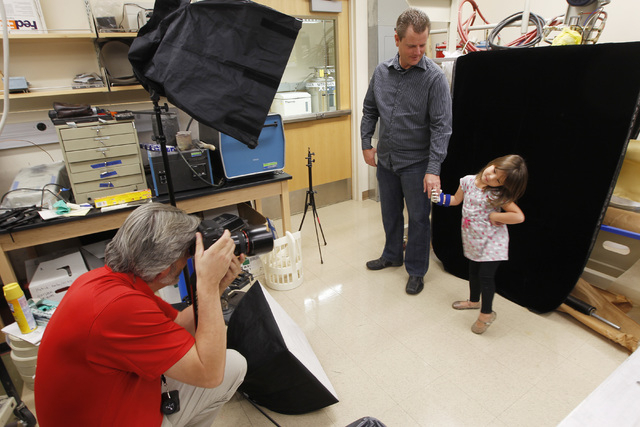 UNLV engineering professors and students build prosthetic hand for a 4-year-old Las Vegas girl. It was hard for Yong Dawson not to feel guilt. After her daughter was born in 2010 with only a thumb and pinky on her right hand, Dawson desperately reviewed her pregnancy. She wondered about taking a hike at Mount Charleston and whether a lack of oxygen may have contributed to her daughter’s condition. But it wasn’t her fault, doctors reassured. What happened to Hailey Dawson happens to babies sometimes, about 1 out of 200,000, they said. Still, “I blamed myself for a long time,” the mother said, holding back tears. She recalled taking her first photograph of Hailey and covering up her right hand. It was the last time she would ever do that. Now, four years later Hailey Dawson’s right hand is being photographed. 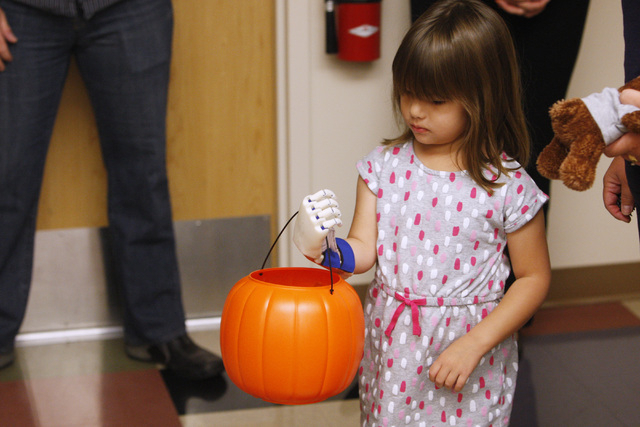 On the eve of Halloween, Hailey was able to clutch the handle of an orange pumpkin bucket with her new hand, a prosthesis constructed by University of Nevada, Las Vegas engineering students. 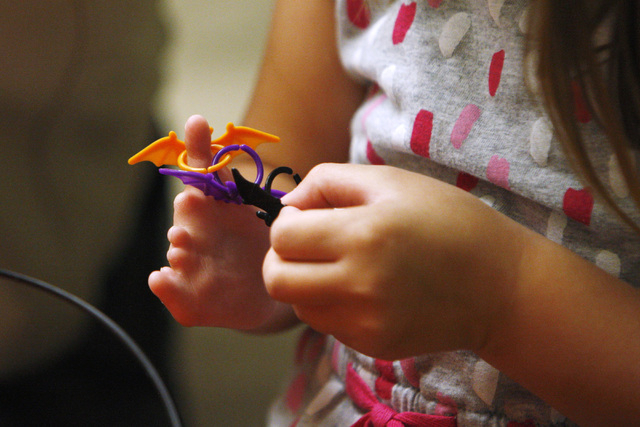 Made of hard plastic, rubber joints and string similar to fishing line attached to Velcro cuffs, Hailey’s new hand appeared to fit well as she curled her prosthetic fingers around a purple rubber ball, picked it up and threw it to mechanical engineering major Zachary Cook. 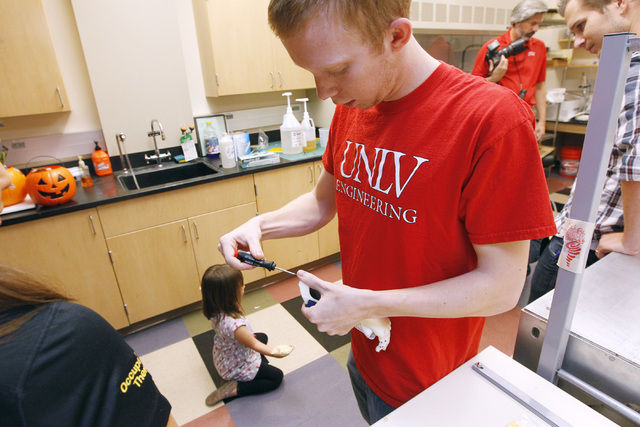 Cheers and applause erupted among the group of engineers and others in a second-floor laboratory at UNLV’s Science and Engineering building. 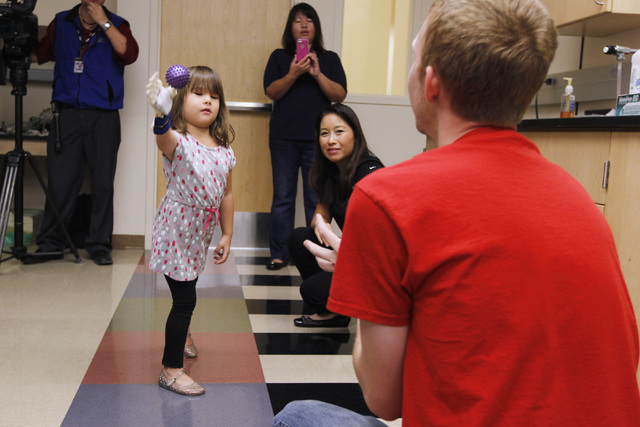 “I love it,” the 4-year-old said shyly when asked about her new hand. Cook, who started out as a music major playing the trombone, said the hand has been a long time coming. “There have been a lot of long nights,” he said. The history of Hailey’s hand is an altruistic one. A few years ago, designer and artist Ivan Owen of Bellingham, Wash., posted a YouTube video of a giant metal puppet hand he created. It used metal strings that acted as tendons and controlled finger movements. Soon after posting the video in April 2011, Owen, who creates weird and nerdy gadgets for low-budget horror movies, was contacted via email by a South African man, Richard van As. Van As, a carpenter and artist, had recently lost several fingers in a saw accident and wondered if Owen could design a mechanical hand for him. Despite being a world apart, Owen and van As began to collaborate. Word spread, and the mother of a boy born without fingers contacted the duo and asked them to build a hand for her son. The boy’s young age was an issue. He would continue to grow and would need a new prosthesis, which can cost more than $40,000. However, Owen and van As decided to try and use an emerging technology called 3-D printing, a manufacturing process that can build three-dimensional objects based off of a computer design. In recent years, 3-D printers have become more affordable; one can be purchased from the company Makerbot for about $1,300. Owen and van As realized that the cost of building new prosthetic hands for the boy would be greatly reduced by using 3-D printing technology. The success of their home-built mechanical prosthesis could have led to profits, but Owen and van As did something different. They released the design plans for free on the website Thingiverse.com. 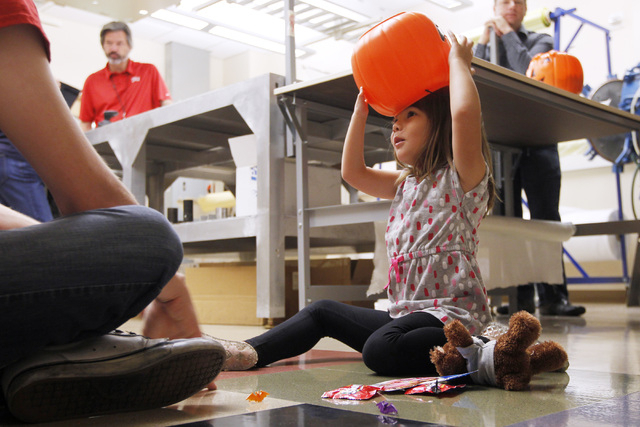 Yong Dawson discovered van As and Owen’s work on the Internet and sought out UNLV engineering professors Brendan O’Toole and Mohamed Trabia to ask if they could help build a hand for her daughter, Hailey. They agreed and the university offered to pay for the expenses. O’Toole and Trabia employed their students and oversaw the project. The free designs were the starting point. Hailey’s measurements — which involved doing a cast of her left hand — were taken in the springtime. Constructed with one of UNLV’s 3-D printers, the final version of her mechanical hand was printed in about three or four hours. 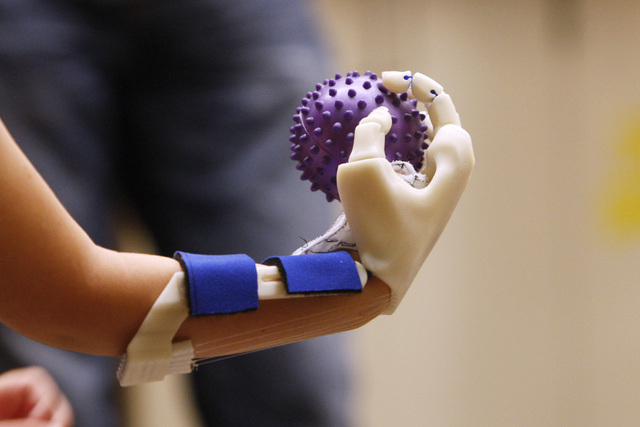 UNLV spent about $1,000 manufacturing different versions of the hand. The final version cost about $250 in materials. 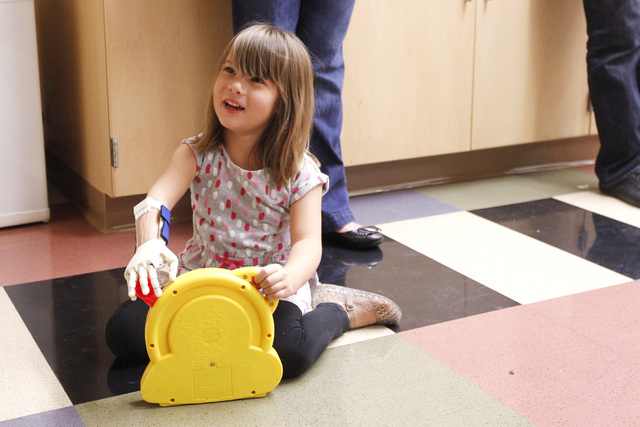 The results were finally seen Oct. 30 when the hand was attached to Hailey’s right wrist. There are still many unknowns in how the hand will function, O’Toole explained. O’Toole knows the string tendons will be stretched over time and will need to be tightened. And other adjustments will have to be made. Hailey pointed out to Touro University occupational therapist and professor Cynthia Lau, who worked in collaboration with UNLV, that the hand caused a red mark near her thumb. The red mark faded fairly quickly, leading the experts to suggest her skin will adapt to the prosthetic. “Even new shoes hurt for a couple of days,” O’Toole said. Lau said Hailey also will have to perform exercises that the therapist will teach her to strengthen her wrist and better control the prosthesis. “She’s not used to working her arm to this extent,” Lau explained. Hailey’s father, Greg Dawson, a Metro corrections officer, thanked the university and all those involved for their dedication and generosity in helping his daughter. Yong Dawson was curious about what the 25-year-old Cook was thinking. About 15 minutes after the fitting, Hailey broke the hand. Her mother said one of the string tendons snapped as Hailey played with a pole after leaving the laboratory. It was a quick fix the mother did herself. “It’s just a matter of her getting used to and building up strength in her right arm,” Yong Dawson said, explaining Hailey only wears it a few minutes each day for now.